That’s the thing about insurance, it’s never really important until you need it. I speak from personal experience, after recently discovering a mold situation in our home. Instantly my insurance became extremely important to me! I needed immediate mold remediation and I wanted it with minimal disruption to our lives. Although we never had any water damage on our watch, it turns out the previous owners did. Water damage is one of the most common claims and it’s also where we get a lot of questions from both our commercial and personal insurance clients. There can be confusion on what’s covered and when. Hydrostatic pressure is when rain water around the foundation builds up pressure to where the ground can’t take anymore. 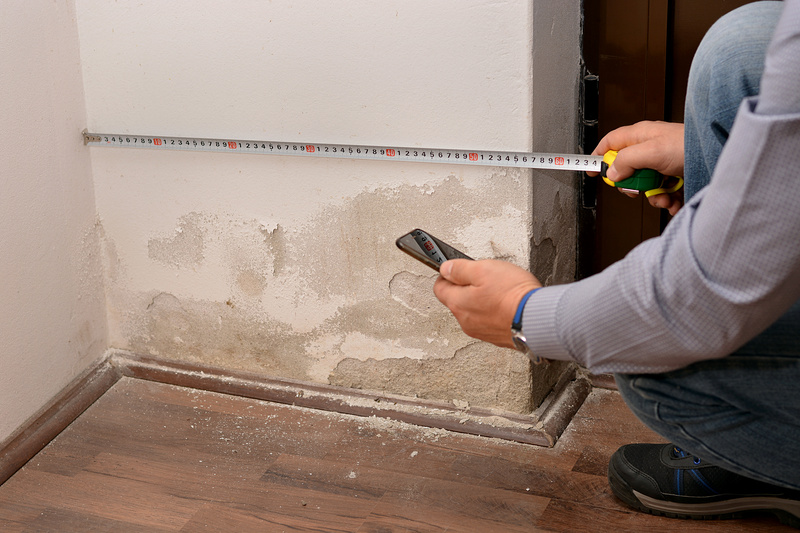 The water finds a leak in your foundation and then begins to seep into your basement. Our partners at Cincinnati Insurance explain hydrostatic pressure in this video. Keep in mind, water damage coverage is not like fire or wind. It’s limited in increments of ten thousand dollars, maxing out at $50 thousand. If you have a finished lower level or valuables stored in your basement, let your agent know in order to guarantee sufficient coverage for your needs. The scenarios mentioned above do not include flooding, defined as the inundation of ground water where water typically isn’t. That can mean flooding beyond the river bank or the neighborhood retention pond. Or water flooding into your home from a window well. For this type of coverage, you need to have flood insurance. Anyone can purchase flood insurance and, depending on where you live, you may be required to have this protection. Your insurance partner can help you buy this through the National Flood Insurance Program. It’s the same coverage and same price, regardless of where you purchase it. Over the past decade the price of flood insurance continues to rise annually due to increase in flooding and claims. Any amount of water can cause significant damage and if it’s not removed properly, you could end up like me with a mold issue. So really none of this important, until it is. Then you’ll want a responsive team that can quickly resolve your situation and make you whole. That’s the importance of insurance and that’s the importance of who you choose to be your insurance partner.